A file photo of cereal. 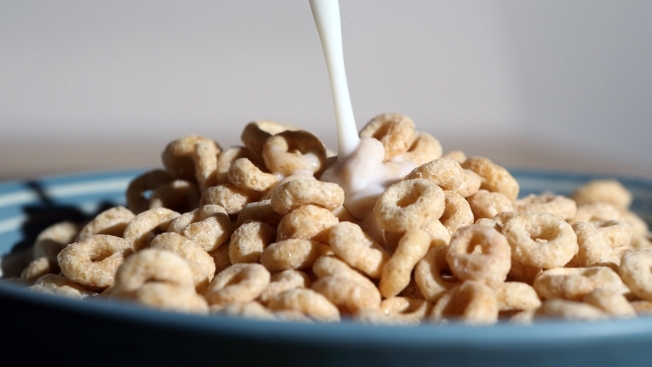 Social media feeds have been swamped by news that the advocacy organization Environmental Working Group found traces of the pesticide glyphosate, the main ingredient in Roundup, in certain popular breakfast cereals like Cheerios. While the headlines have alarmed parents, there are several reasons not to panic, NBC News reported. Research by the EWG, which actively campaigns against glyphosate, was not published in a peer-reviewed journal, the amounts found were far below the allowable limits, and most experts in the field say there’s very little evidence that glyphosate causes cancer or any other health problems. Glyphosate also made headlines because a California jury ordered Roundup maker Monsanto to pay $290 million in damages to a groundskeeper with non-Hodgkin’s lymphoma. Still, American juries do not necessarily rule based on scientific evidence, and they are not required to. Click here for the full story on NBCNews.com.